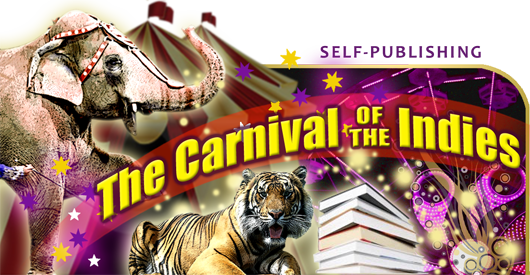 Welcome to this issue of the Carnival of the Indies blog carnival. This issue is for November, 2013. We welcome your submissions on topics related to writing, self-publishing, book design or marketing books. Steven Chang presents How To Start A Successfully Food Blog: Interview With Kavitha of Foodomania.com posted at How To Start A Blog: For Fun And Profit! Joseph C. Kunz, Jr. presents Citation Styles: A Guide for Self-Publishers posted at Kunz On Publishing, saying “Why Is Citing Sources Properly So Important for the Non-Fiction Self-Publisher? The next issue is December 29, 2013 and the deadline for submissions will be December 20, 2013. Don’t miss it! Thanks Joel. I especially like the marketing articles this month, especially the one on book bundles. Thanks for all of your amazing advice! You’re making the self-publishing journey much easier. My book is currently #1 on Amazon’s sci-fi post apocalyptic (free books). This is because I’ve read countless articles, followed most of the suggestions and do at least five things every day to market my book.